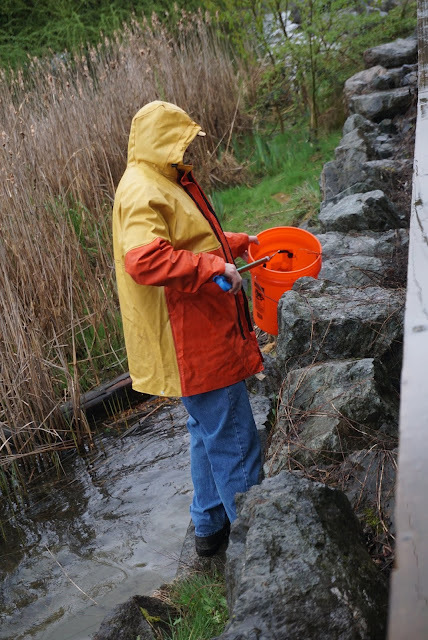 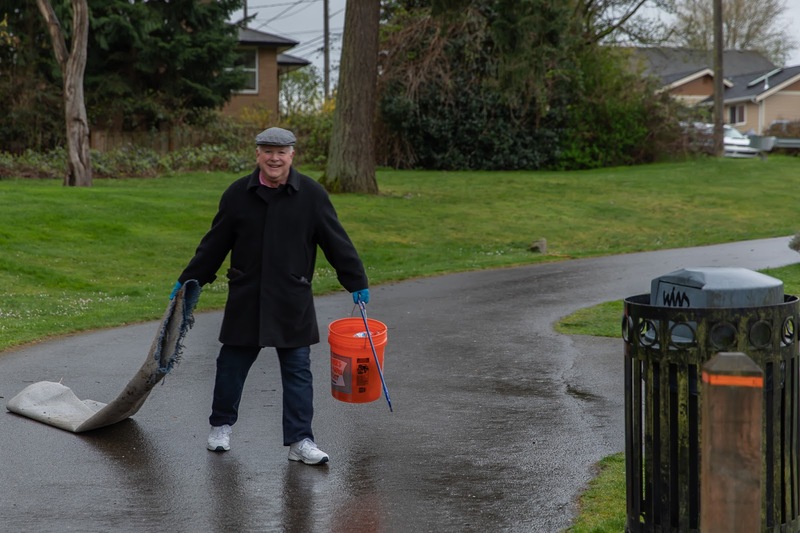 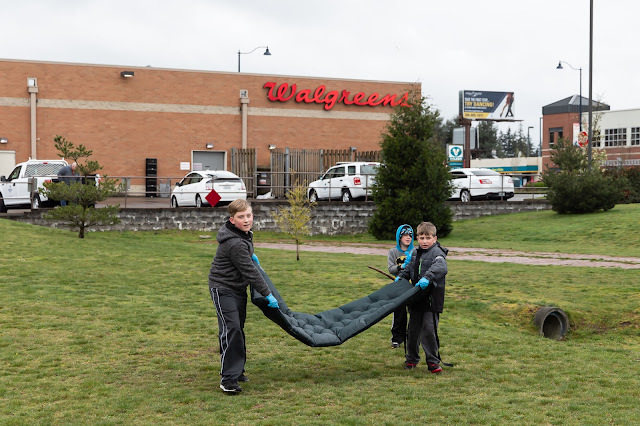 Shoreline and Lake Forest Park Rotary clubs were part of an ambitious and successful area Rotary project to pick up litter from the length of the Interurban Trail - all 22 miles of it. They had two hours, on Saturday, April 13, from 10am to noon. Each club was assigned a section of the Trail. 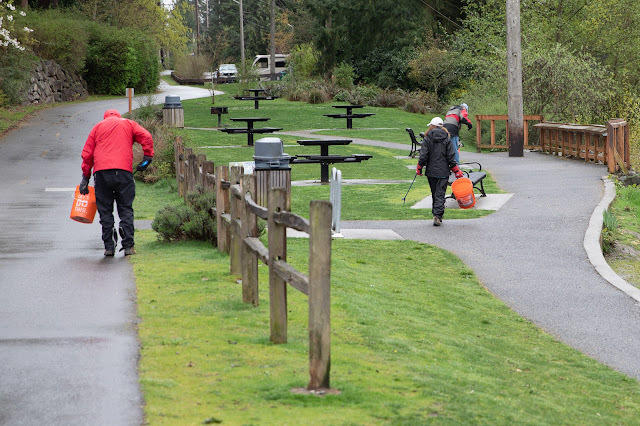 Shoreline and Lake Forest Park Rotary clubs took care of the Trail from N 200th at Echo Lake Park to N 165th at Darnall Park behind Aqua Quip on Aurora. Many community members joined in to the project to help. 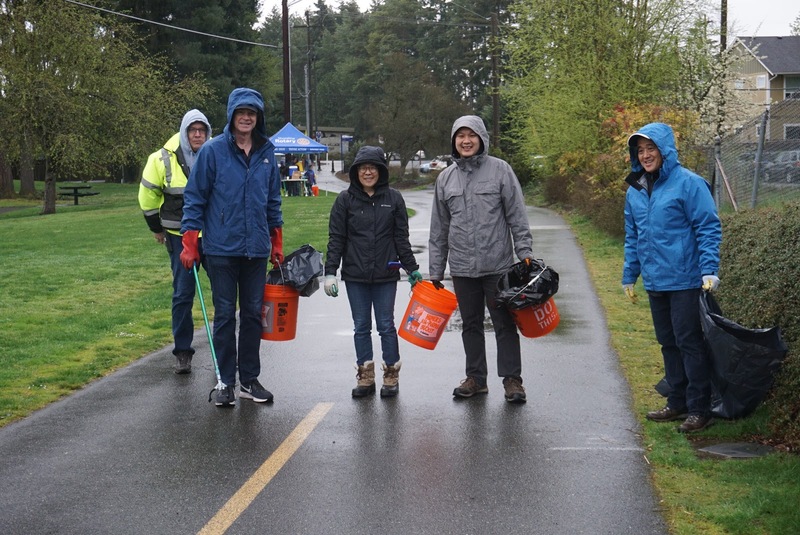 The weather wasn't any worse than it usually is - gray and drizzly - and the volunteers soldiered on, in good spirits. 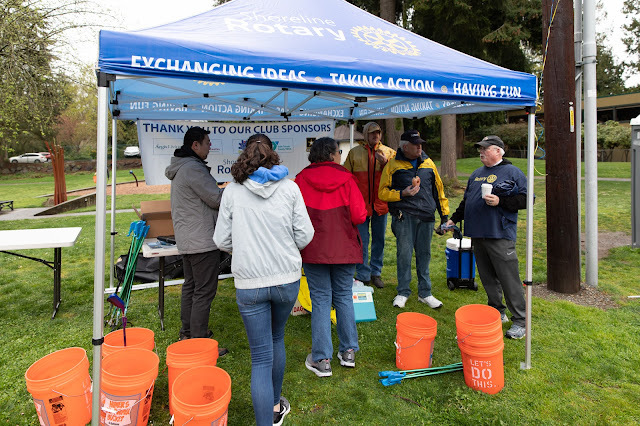 Rotary set up a tent at Echo Lake Park to sign people in and give them supplies - trash bags, buckets, and grabbers provided by the City of Shoreline. 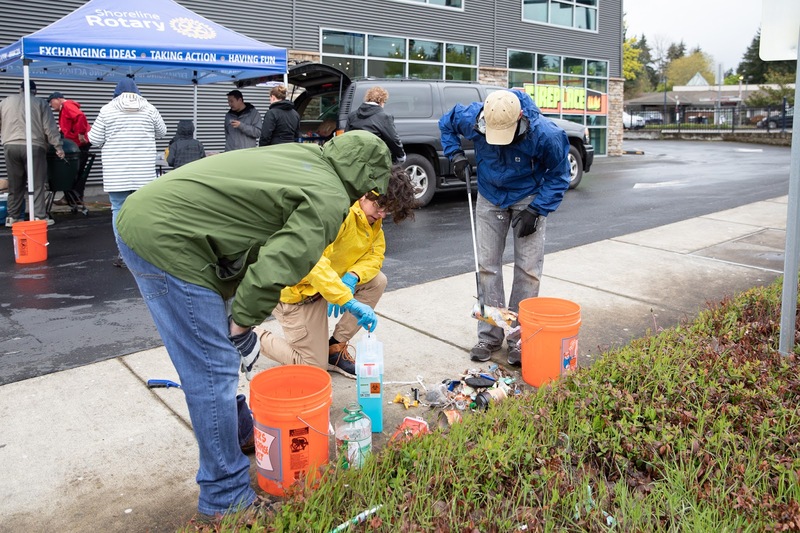 Gloves, sharps containers and small tongs were supplied by Evergreen Hospital Emergency Department, and water was supplied by the North City Water District. A small group had extra training in handling needles and were called in as needed. 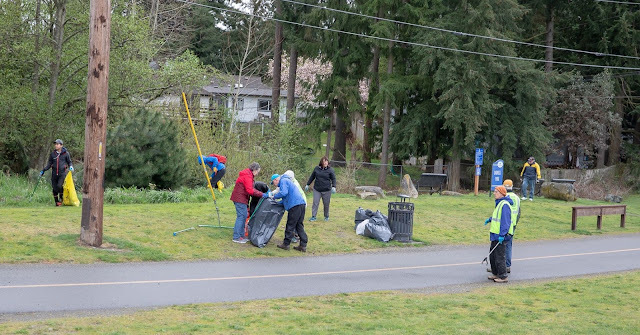 The volunteers cleaned up Echo Lake Park, including standing in the lake to clean litter off the wall. 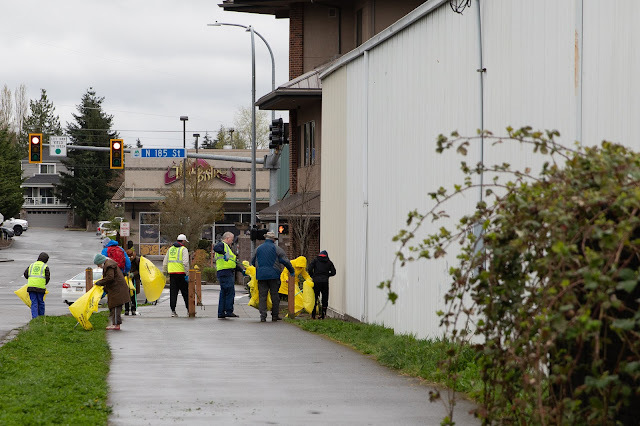 They worked their way south 15 blocks, behind Sky Nursery, and then to the green space between City Hall and Aurora marked by the giant snail. 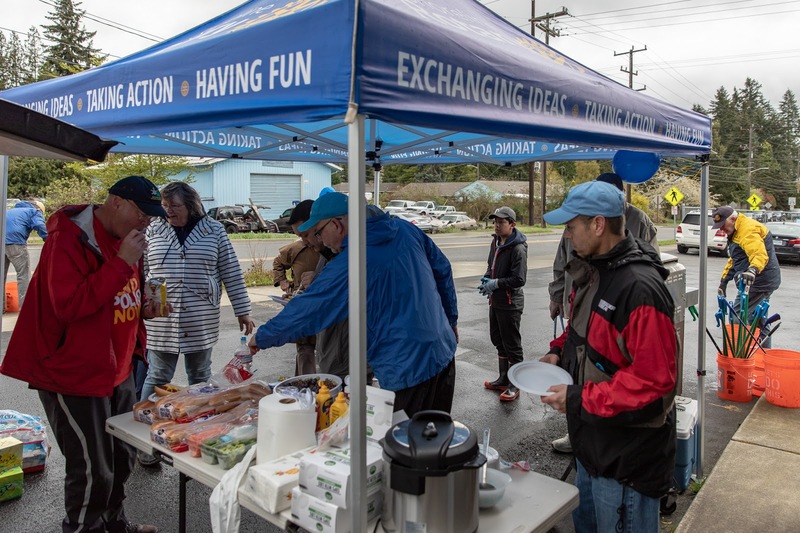 After cleaning Darnall Park, they had lunch, provided by Aqua Quip. 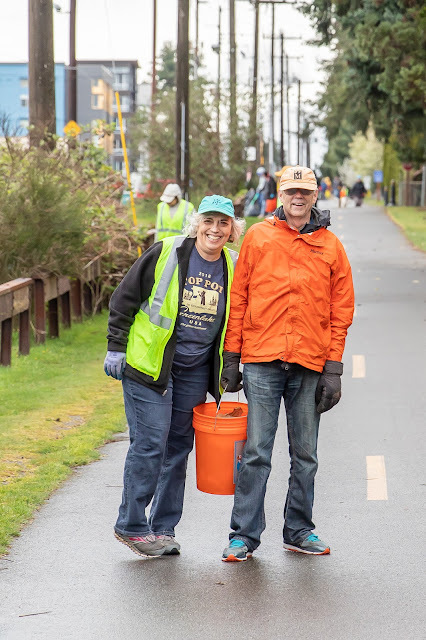 The Woodinville Rotary Club took care of the southern part of the Trail in Shoreline, from 145th to 165th and joined the others for lunch. 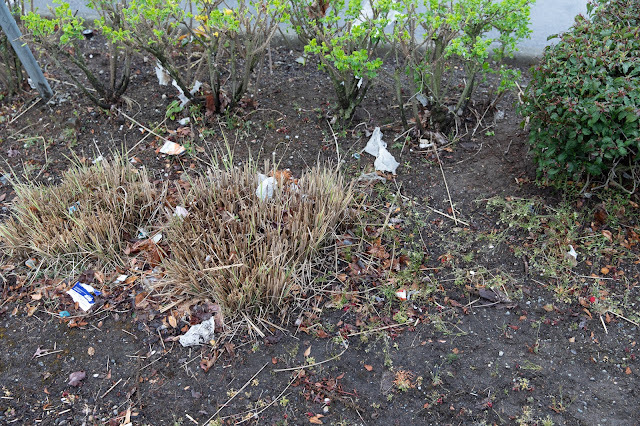 Here's a "before" shot of some of what they were finding.